Marseille have boosted their hopes of sealing a Champions League place by signing Mario Balotelli on a six-month deal. The 28-year-old has joined on a free transfer from Ligue 1 rivals Nice and after completing his medical, has signed a contract until the end of the season. Following a difficult period after leaving Manchester City in 2013, Balotelli has rediscovered his form in France, netting 43 goals in all competitions in his first two seasons. My goal is to score a lot of goals and assist my teammates. However, uncertainty over his future in the summer led to a delay in him returning to Les Aiglons for pre-season and he arrives at the Stade Velodrome having not played since the first week of December. Coach Rudi Garcia says the 28-year-old is eligible to face Lille at home on Friday but has cast doubt on whether his new striker will feature. 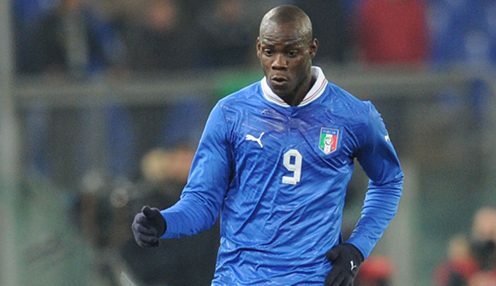 Balotelli says he wants to play and admits he is looking forward to starting a fresh chapter in his career. Marseille currently sit seventh in Ligue 1, six points behind Lyon in the final Champions League place. A win over second place Lille is available at 6/5, with the draw 23/10 and Les Dogues available at 12/5.